I knew I hadn’t blogged in a while, but when I looked at the date of my last blog post, I got a bit of a shock. It’s been almost a month and a half since I posted anything! If you follow me here, or on any of my social media, you will know that I attended my first public book signing back on March 22nd. 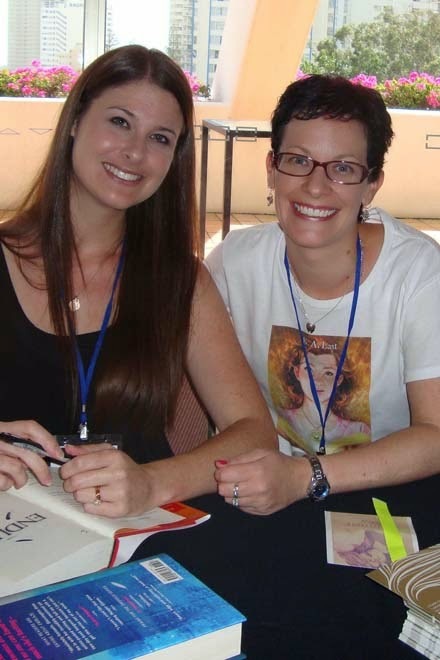 It was called Indie Authors Down Under, and it happened on the Gold Coast in QLD. If you want to read about everything that went on you can see my update at Aussie Owned and Read. Still, I wanted to share with you a photo or two from the day, because I got to meet Jessica Shirvington, someone I’ve wanted to meet for a while. 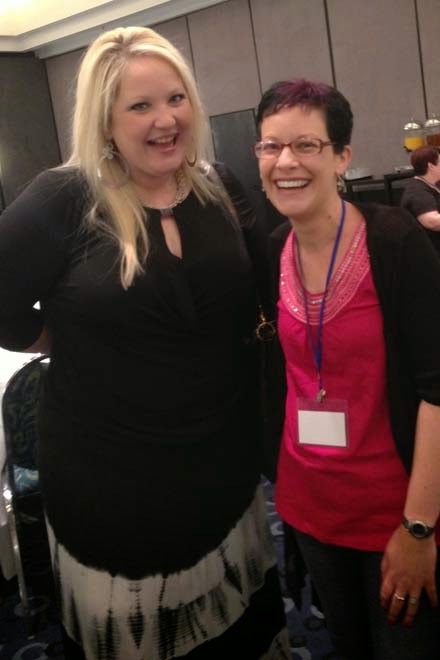 I also got to meet the lovely Abbi Glines, and I even had breakfast with her. She is one very inspirational woman! Another reason I've been off the radar a bit is because I’m currently studying my BA via distance education part time. This semester I’m doing an English LIT, and a Children’s Lit subject. Study takes up a huge amount of my time, but I’m really enjoying it, and I’m learning so much. It’s especially enjoyable when I get HDs on my assessments. For my Children's LIT subject we are studying adaptation, and we have to write an essay on a comparison of a fairy tale and an adapted version of that tale. Stay tuned, because there will probably be a separate blog post on this in a week or so. And of course, I’m also working on the next chapter in the Tate Chronicles, Fight For Me. My original plan was to finish Suffering, which is a novella from Josh’s POV and details events that happen in the two week lapse at the end of Fall For Me. It’s pretty much done, but I’m not sure if it will ever see the light of day. I loved writing it, and it has really helped me get everything straight in my head, but I want to give my readers Fight For Me. Unfortunately, I’m a slow writer. I’m about a third of the way into it, and it’s coming along nicely, but not as quickly as I’d like because of all the other stuff going on in my life. My tentative plan is to have it written in the next few months, and published by the end of the year, but I don’t want to put a definite time limit on myself, because the last time I did that I came very close to having a breakdown. This book has been somewhat of a challenge for me in every respect. I originally wanted it out last year, but it seems no matter what I do something happens, and it gets pushed to the wayside. I don’t want that to happen again this year, because I know there are people (probably only two, but they’re people) waiting on this book. Hopefully I can hold you over with teasers, snippets, and maybe some virtual cookies. What has everyone else been up to? I’d love to hear what’s going on in your part of the world.